The Newsletter of the Caribbean Regional Fisheries Mechanism: Management Issue, March 2014. The Newsletter of the Caribbean Regional Fisheries Mechanism - Scientific Issue, August 2013. 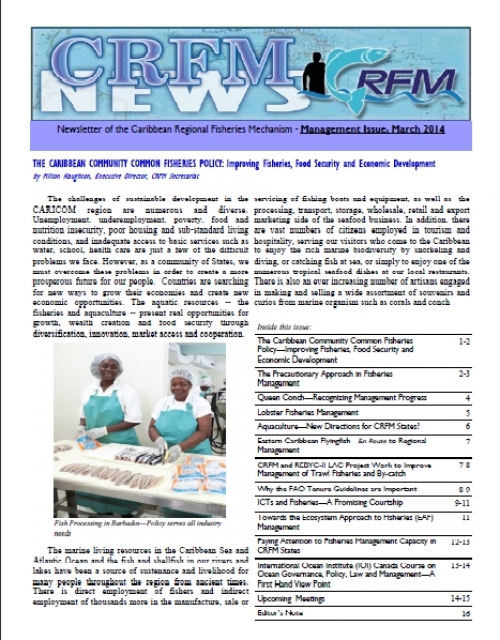 The Newsletter of the Caribbean Regional Fisheries Mechanism: Management Issue, March 2013.